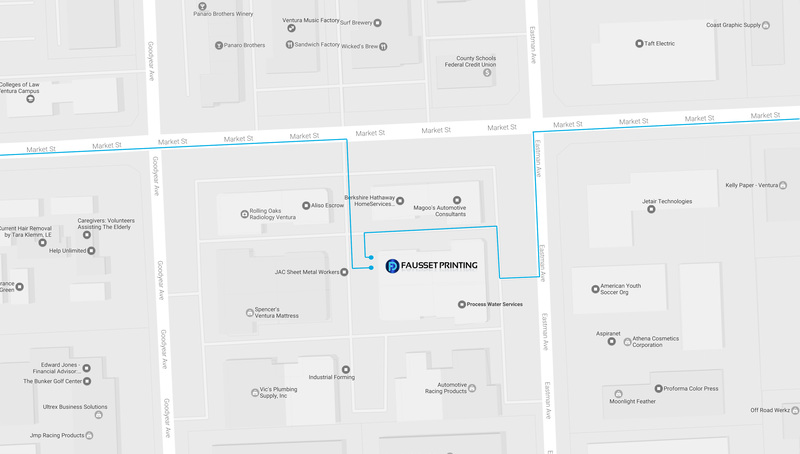 If you have any comments, questions or suggestions regarding faussetprinting.com, please let us know. If you are interested in working with Fausset Printing, getting custom design work, business marketing or just to say hello! Please fill out the form below, and click “Send “. We will get back to you as soon as possible. Your feedback will assist us in creating a more rich user experience. YES, Sign me up to your mailing list for updates and specials. We are located in the middle of an industrial complex on the corner of Market St. and Eastman Ave in Ventura, CA. If you are on Market St. we are the building behind Berkshire Hathaway. If your are on Eastman we are behind Process Water. 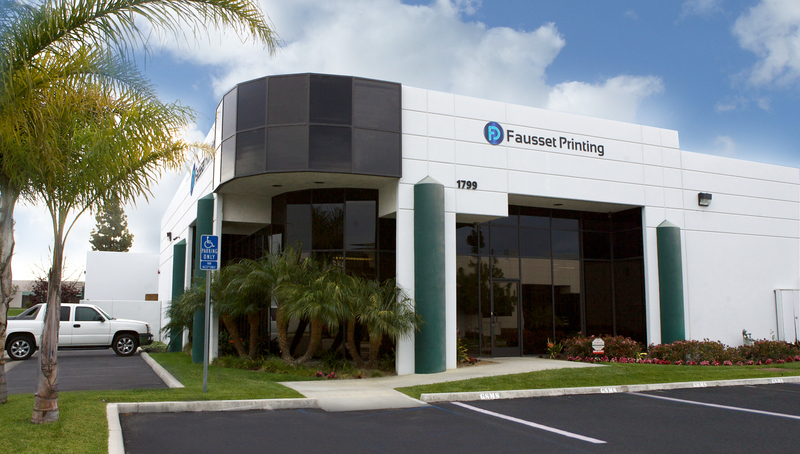 Fausset Printing is one of the premier print and design firms in California specializing in working with companies with sales from one-million to 50 million. We are small enough to deliver a personal touch, while being able to print any sized job. Please give us a review on Yelp.